Coffee. Oh coffee. You are the first thing I reach for in the morning, the first smell to tickle my nostrils, the first flavour to waken my tastebuds. Oh coffee, mornings without you are distinctively worse off. I don’t sit on the fence with this one. 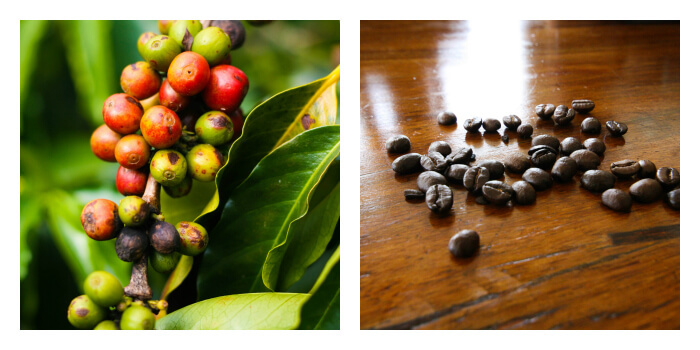 So, it came as no surprise to me when the guide at a beautiful coffee farm in Colombia announced, “Of course, coffee has a story of its own.” Of course it does, I thought to myself – how could anything smell that good and not have a damed good story too? And so, ladies and gents, pour yourself a steaming cup of the strong stuff and get ready to ogle at the beautiful bean and its lovely story. The next day he decided to try the red berry for himself when the goats all trotted back towards the coffee plants. A few berries later and he too started to feel a the effect of the bean – and he decided to take the mystery cherries to the local monastery to seek advice from the monks. Well, the monks had a field day – it was said they would purposefully eat the little red berries late at night and then stay up praying to God all night – they felt it enhanced their connection and made them better monks. But one day the chief Abbott decided enough was enough. You can just imagine the scene – hundreds of monks praying in a jittery fashion with bad breath – so he took control of the situation and grabbed a whole bag of them and chucked them into an open burning fire. The monks were horrified to see their precious red berries go up in smoke but then they started to notice something – or smell something I should say – as the beans began to roast. Suddenly their sweet tasting berry had turned into the most delicious aroma their nostrils had ever encountered. It is said they then removed the beans from the dying embers of the fire and crushed them before adding hot water. And coffee was born. I was already madly in love with this little brown bean but hearing this story sealed the deal for me. Also, I should add that while I was more than aware of how good it tastes and smells – I had no idea how good it looks in real life. 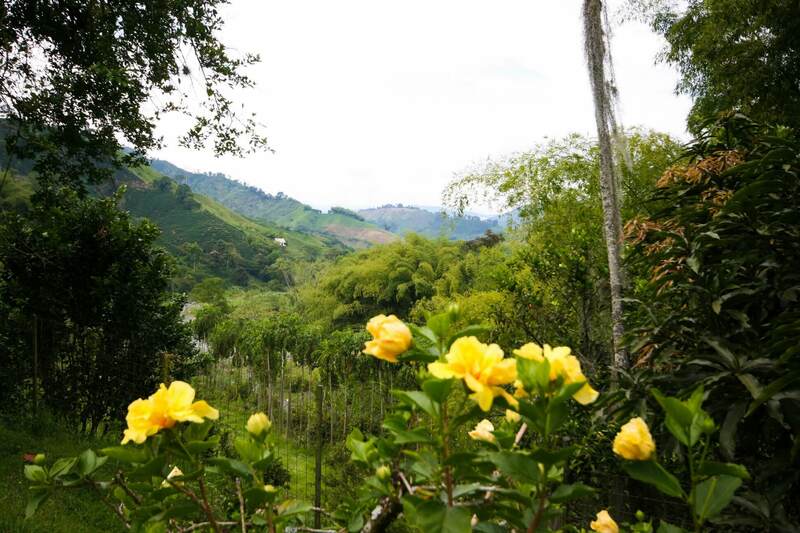 Take a trip to the Zona Cafetera in Colombia and you will be greeted with miles upon miles of rolling hills covered in a luscious greenery that on closer inspection you realise is actually coffee. And so we spent the next four days drinking coffee, smelling coffee and admiring coffee for mile after mile. There were some hammocks and hummingbirds thrown in for good measure and Matty and I swore to find a way to run away and become coffee growers, because really, who wouldn’t want to be surrounded by this kind of beauty?! The good news, for at least those of you who have no immediate plans to visit Colombia, is that the Colombians export all their best stuff and keep the leftovers for themselves. So great if you’re shopping in Waitrose in London but not such great news for the locals (and travellers) here. We stocked up on the good stuff during our weekend away and are now spending most of our evenings dancing like mad goats. Well, that’s our excuse anyway! We stayed at the lovely Hacienda Venecia near Maizales in Zona Cafetera (which is just a 4 hour bus ride away from our present home in Medellin). 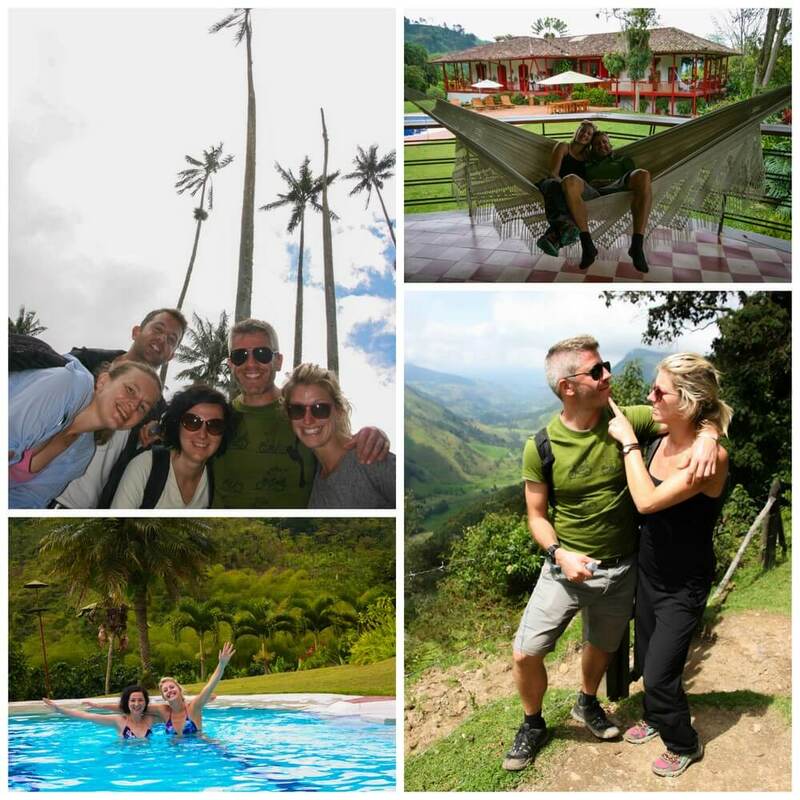 The Hacienda is picture-perfect setting, surrounded by rolling coffee hills and greenery as far as the eye can see. There are two accommodation options – the main house that still belongs to the coffee-making family today, and the hostel, which is in the same style as the main house. We stayed in the hostel and got a nice double room with breakfast for just £10 per person – not too shabby when you think it has a swimming pool too! After a couple of nights at the Hacienda, where we took a brilliant coffee tour, we moved to the picturesque town of Salento, where the locals play a game called Tejo – where you throw a metal ball at a selection of gunpowder triangles across the room for points. Beer and gunpowder! What’s not to love? Be sure to visit the Los Amigos Bar for a genuine and unforgettable tejo experience!